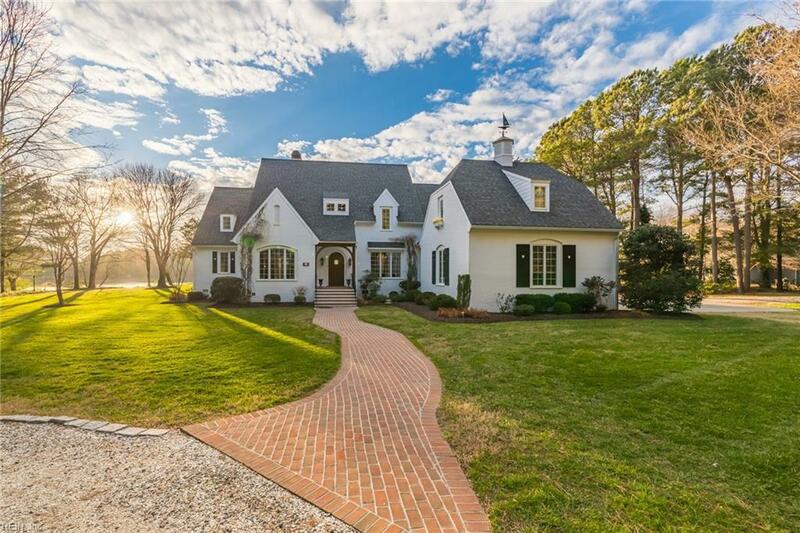 8448 Creek St, Northampton County, VA 23354 (#10234361) :: Abbitt Realty Co.
Beautiful English Cottage Style Home with spectacular views of Church Creek! Custom built by architect William Poole. 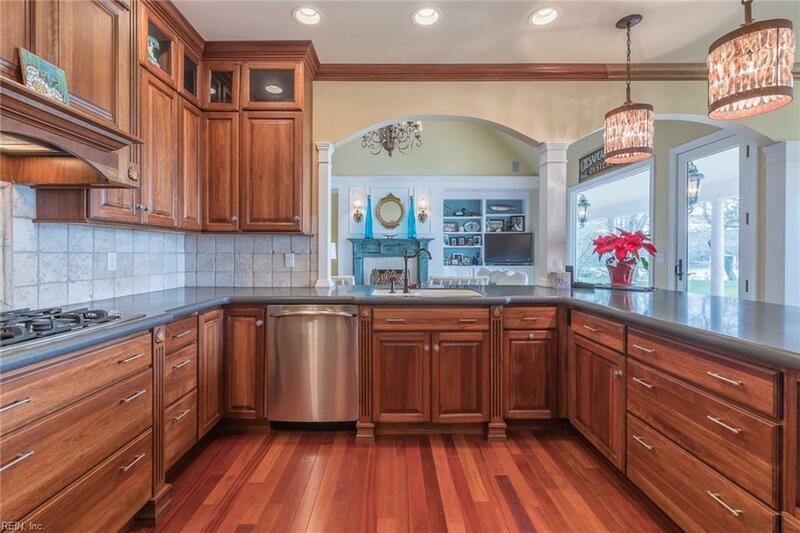 Sprawling waterfront gem with a flowing floor plan perfect for entertaining. Sunny & bright, windows galore & views from every room front & back! 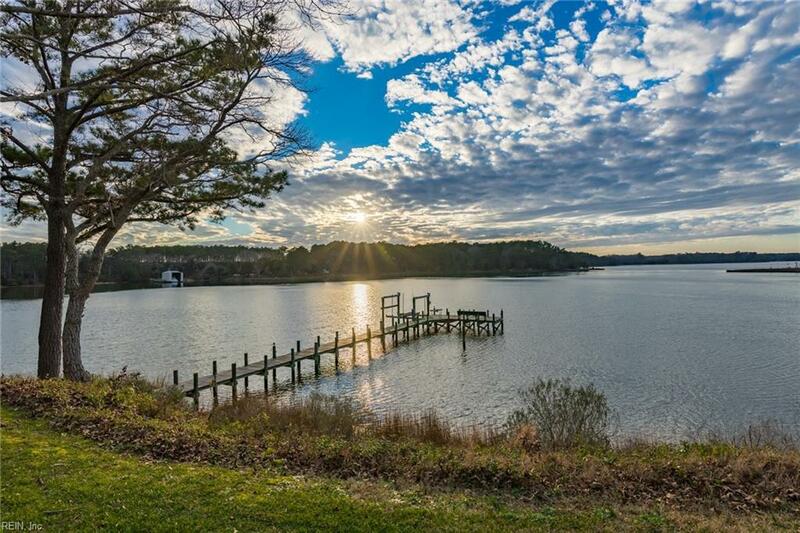 Immaculate landscaping, brick paved entrance, high on a bluff with dock & boat lift. Enjoy amazing sunsets from the covered back porch which spans the width of the house. High ceilings, custom built ins, crown molding, chair railing attention to detail thru out! 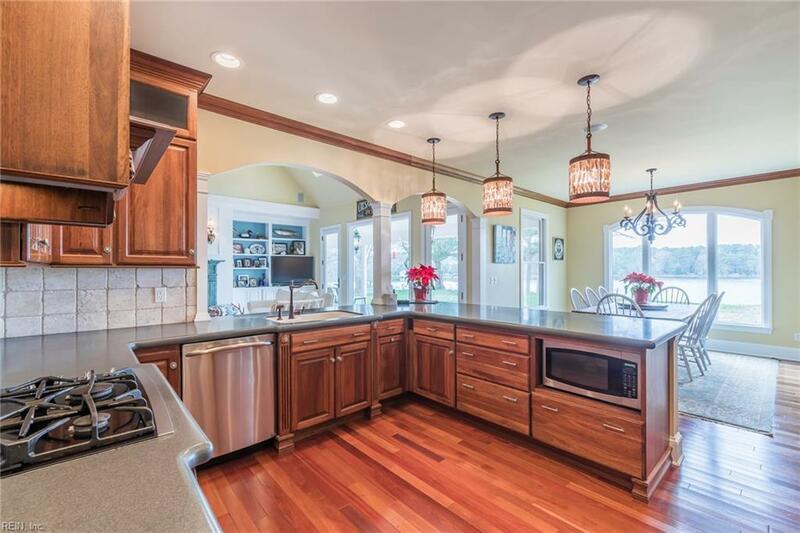 Gourmet kitchen, double wall ovens, gas cook top, custom cabinetry, sunny breakfast room + formal dining room. 1st floor master b/r with huge en suite bath, soaking tub, separate shower, two vanities & french doors to the walk in closet. Tons of storage space.